As a caterer, your food brings people together. Create crowd-pleasing spreads with catering supplies from Hubert's large selection. 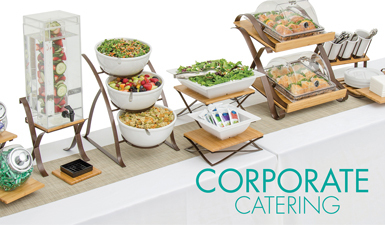 From affordable chafing dishes to unique and trendy display pieces, we offer the catering equipment you need to showcase your best work. Whether the business agenda calls for a simple cheese tray or an elaborate sushi spread, we have the supplies you need to cater to a corporate crowd. 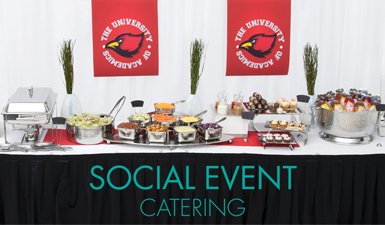 If your bookings range from baby showers to fundraising galas, you'll like these catering solutions for social events. It's the celebration of a lifetime. Or, two lives coming together. 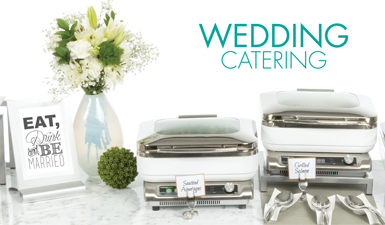 With Hubert's unique collections, you'll offer wedding catering that's unforgettable.